The other day, my husband and I were talking about how we desperately need to attend a carnival because it would be unordinary (because we are in our late twenties and have a one year old), and extraordinary (because it would remind us of our youth). We can walk hand-in-hand whilst eating a salty soft pretzel and fluffy pink and blue cotton candy. We can play the carnival games and he can be romantic and win me the giant stuffed teddy bear. We can also ride the oh-so-glorious squeaky rides that make us hold on for dear life and want to puke. To end our date, the grand finale would be riding the Ferris wheel as the sun sets and we talk endlessly about our hopes and dreams and reminisce about amazing years and the changes yet to come. Oh, if only we viewed marriage this way. The thing I love about attending a carnival is there is always something new – something different to see, do, and explore. You never look at carnivals the exact same way because they all differ. Carnivals tend to bring out our inner child, reminding us not to take moments for granted and to treasure what we have. 1. Marriage should not be just a routine. Every day we wake up, brush our teeth, take a shower, and eat breakfast. We have our own set of rituals and routines that tend to fill our day. In today’s society, people often view marriage as the fun is over once you say “I do.” This could not be further from the truth. If you are married or preparing for marriage, remember to always look for creative ways to say I love you, go on fun and adventurous dates, and remember to continue to get to know your spouse. We change and grow over the years. My husband and I have been married for seven years and we continue to change and develop in our relationship with Christ, individually, and with one another. 2. Always look for the good. It is vital to a marriage relationship to always look for the good in your significant other. In today’s society, we tend to pick apart, compare our spouse and relationships to others, and base our sense of romance on what Hollywood depicts it as. Try to find and point out at least one thing every day that you love about your spouse. This will change your relationship drastically. And don’t forget to tell them what you love about them. 3. Turn ordinary routines into extraordinary memories! It is important to realize that there is fun and significance in the mundane tasks. Sometimes simple is even MORE fun! Cook dinner together, snuggle as you watch your favorite TV shows, fold the laundry together, pull out the old embarrassing photos and videos, read your Bibles together and pray together. It is important to grow as a couple and make memories in every phase of life. 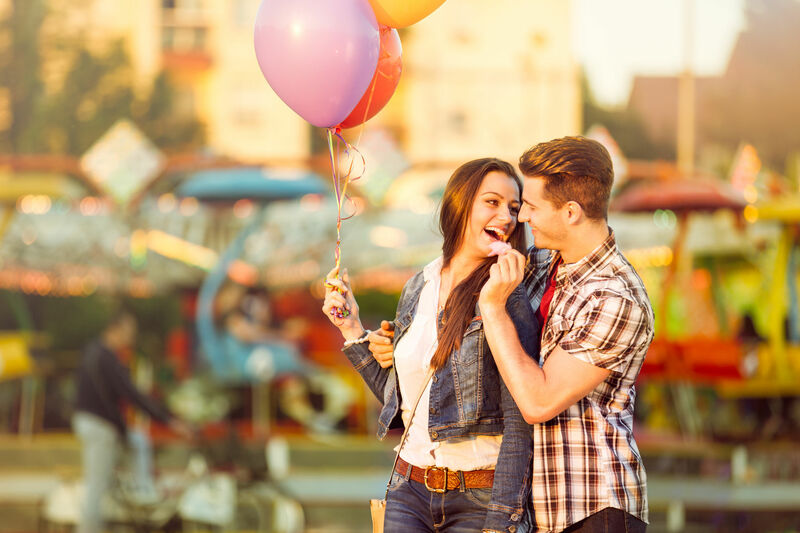 If you are preparing for marriage or married and going through a difficult time … remember to find your carnival! Turn ordinary events into extraordinary memories. Marriage is full of twists and turns – so buckle up, it’s going to be a fun and life-changing ride!